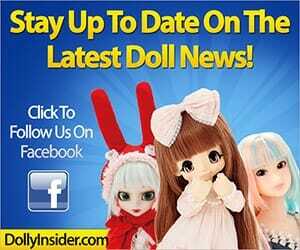 On January 9, 2015 Groove Inc announced a big headliner for their booth for Doll Show 42 held on January 12, 2015. 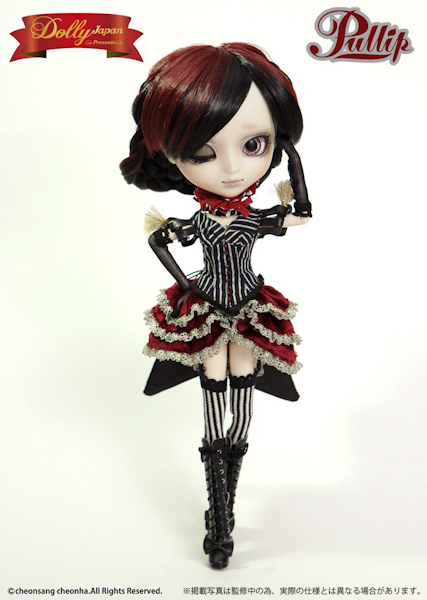 They posted an image of Pullip Laura! The general consensus of this sullen yet mischievous circus ringleader was of frustration. Why were fans so frustrated? 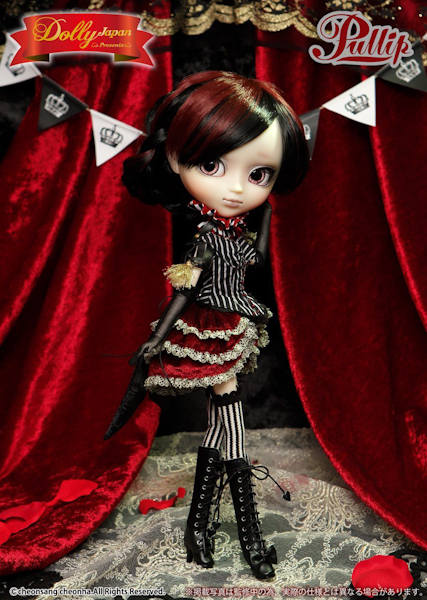 Well before we dive into the frustration let's get a little background history on Pullip Laura. 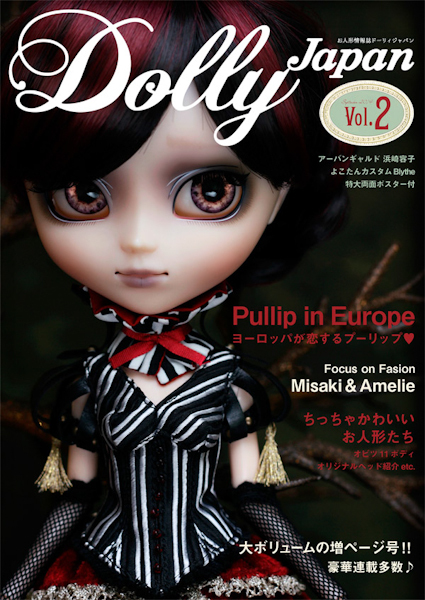 Vol.2 of the Japanese doll magazine, Dolly Japan, featured cover model Pullip Violette, a collaboration doll between Laura and Momolita. And as Tyra Banks would say, "she looked fierce." Checkout eBay if you would like to bring home this girl! 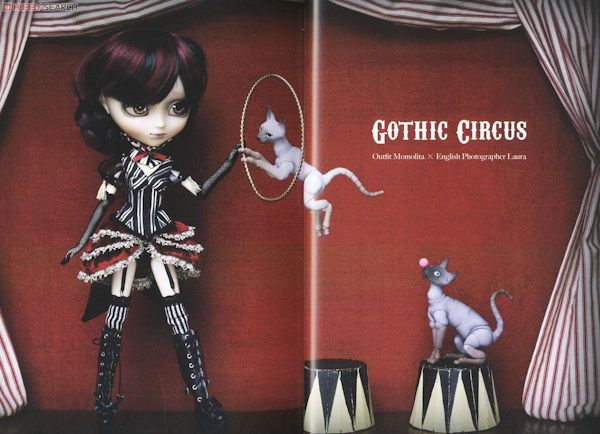 The doll on the cover was customized and photographed by her owner Laura, a photographer located in Great Britain, who is well known in the doll community for her vivid and bold photographs. Laura goes by the name pure_embers on Flickr. 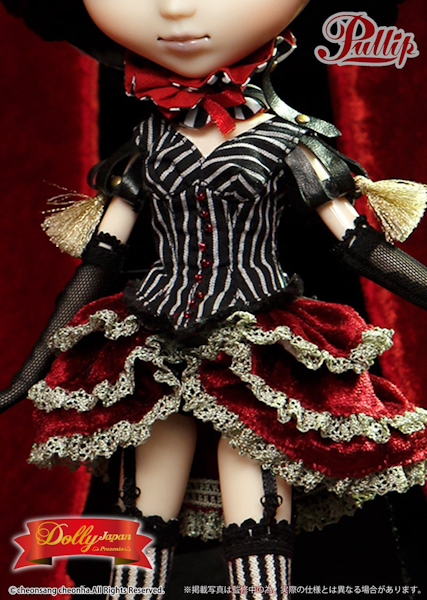 The detailed circus themed outfit that Violette is wearing was designed by a prominent doll clothing designer Momolita of Japan. 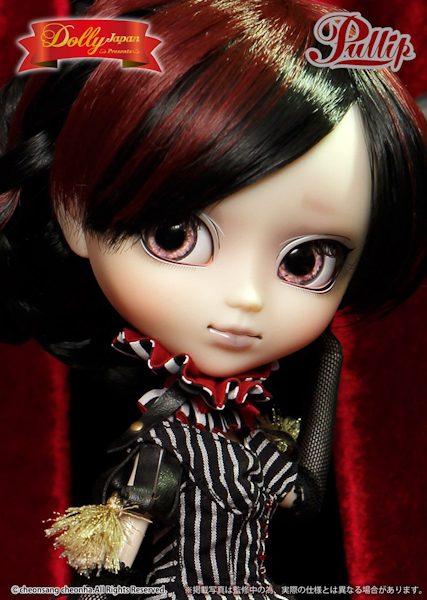 Violette is actually a modified Pullip Selia who was originally designed by the well known doll customizer @BabyBee located in Japan. Fans are upset with Groove Inc's lack of creativity and are tired of dolls based off of other creators/collaborations/anime collabs designs. Example 1: Nana-chan technically isn't Groove's original design but a concept by Mi-chan with clothing designed by Silver Butterfly. However Nana-chan received a lot of praise. 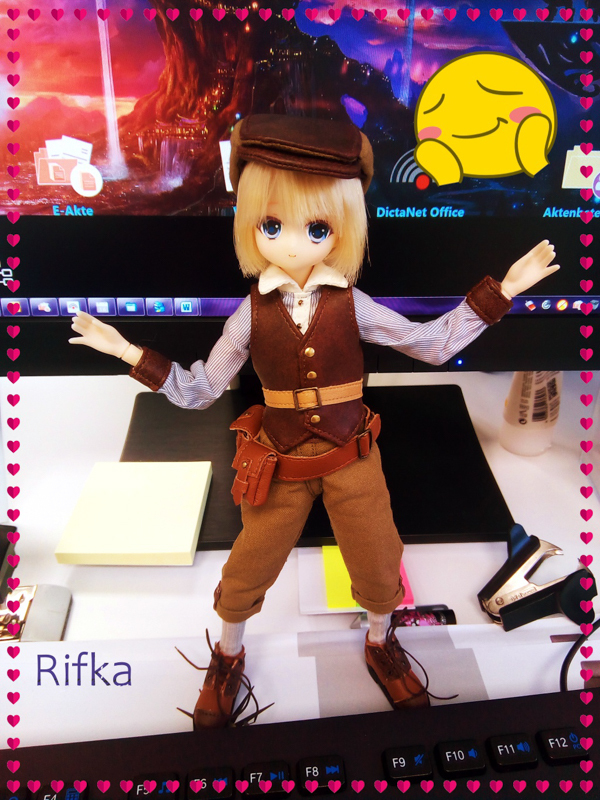 2014 brought fans very few original ideas from the Pullip brand. 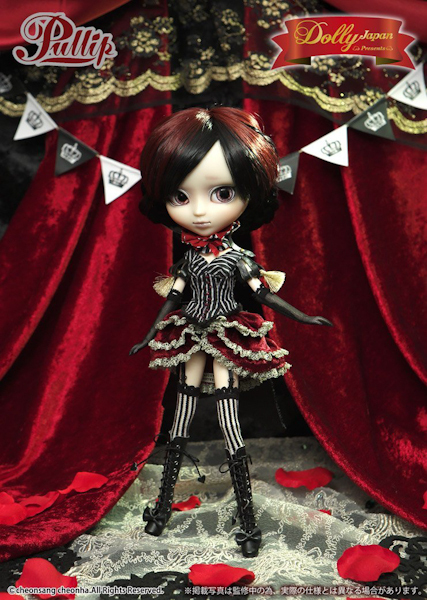 So now that you know the background history of the February doll, let me properly introduce you to Pullip Laura. 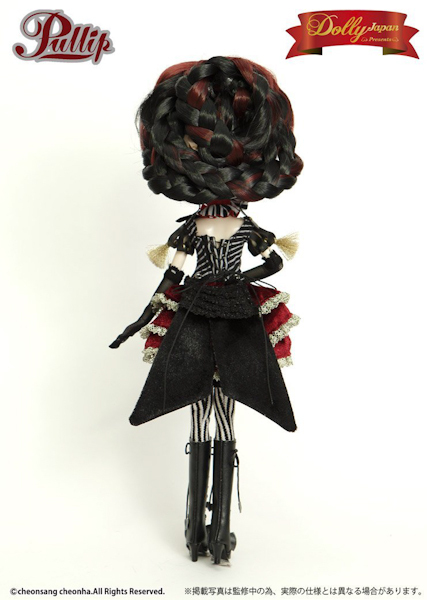 February 2015 the circus ringleader named Pullip Laura will be in the hands of collectors around the world! 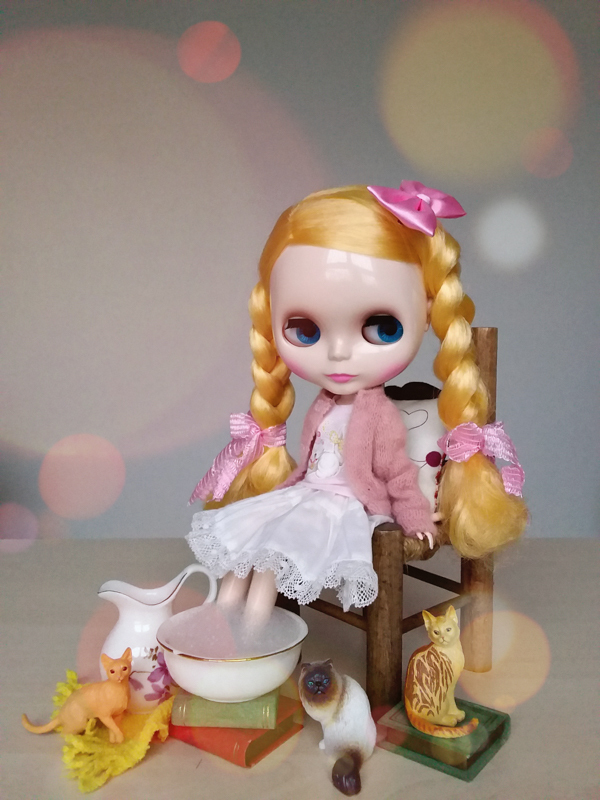 So, it's your turn what do you think about Pullip Laura?